Hi Graeme, I apologize for taking so long to respond; it is a credit to the smoothness of this project that I was able to shift my focus onto other ones. When asked by a colleague how this project went, I responded “that so last week” J. Seriously though, I want to sincerely thank you and your crew for their great efforts and patience getting this going and completed safely and successfully. A senior manager reviewing the photos also noted how tidy and well organized the site looked. Thanks also for accommodating all our site visits and heli close-ups. 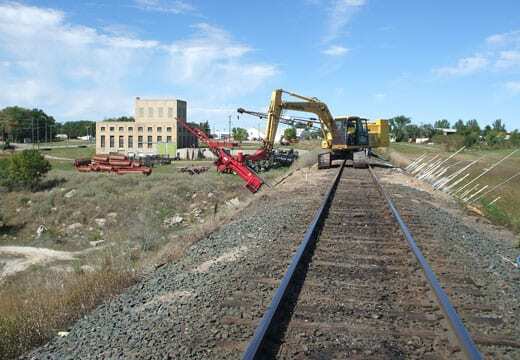 An International Railway owner/operator maintains a large through fill in the Northern Plains and over time the steep fill had sloughed and eroded.